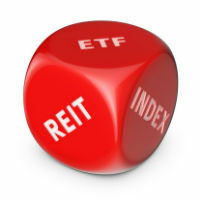 Nearly one-third of advisors surveyed often use ETFs to diversify portfolios at low cost. Nearly two-thirds of financial advisors use exchange-traded funds as a core holding to cost-efficiently diversify clients’ portfolios, according to new research. Cerulli Associates discloses this finding in “Advisor Metrics 2013: Understanding and Addressing a More Sophisticated Population.” In its ninth iteration, the annual report highlights the research firm’s quantitative coverage of U.S. financial advisors in all channels. The report reveals that 30 percent of advisors surveyed “often” use ETFs to diversify portfolios at low cost. An additional 33 percent of advisors “sometimes” invest in ETFs for this purpose, the report shows. Advisors often employ ETFs as well to achieve sector-specific exposure (e.g., health care or technology), integrate into a “core satellite strategy,” or to apply a thematic approach to portfolio construction. Less than one-fifth (19 percent) of advisors frequently use ETFs to secure these investment objectives. “The increasing use of passive ETFs continues to gain steam among advisors,” the report states. “Independent registered investment advisors (RIAs) have the highest allocation to ETFs because the vehicle provides them with low-cost exposure to the markets, but other channels are adopting ETFs at a rapid pace as well. “It is important for managers and broker/dealers to understand how advisors are using ETFs in their portfolio construction to ensure that the right ETFs are being offered to their advisor forces,” the report adds. Fewer than one in nine advisors often use ETFs in pursuit of these aims.